Heat oven to 350°F. Line 9x5-inch loaf pan with foil; spray with cooking spray. 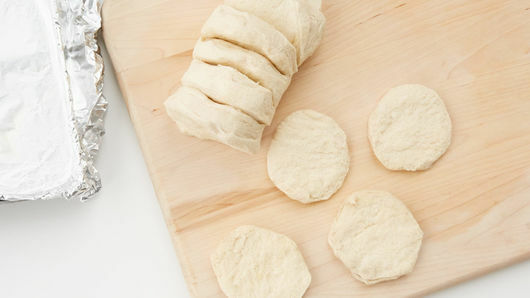 Separate each biscuit into 2 layers, to make a total of 16 thin biscuits. Spread about one teaspoon cream cheese spread on each. 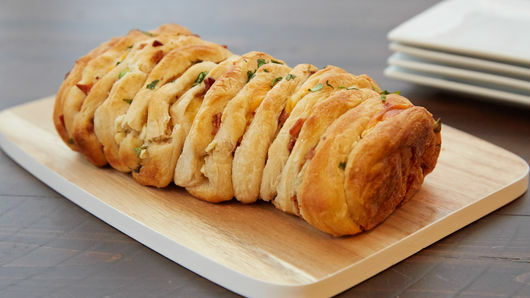 Top each with 1/2 tablespoon bacon, 1 teaspoon cilantro, 1/2 teaspoon green onion and one quarter slice cheese. 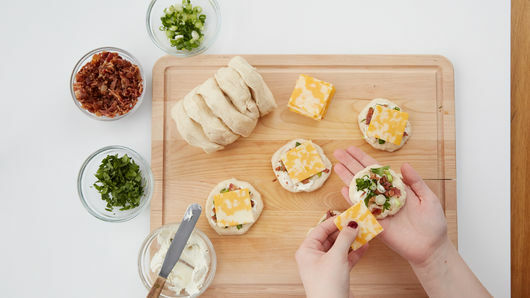 Make 2 stacks of 8 biscuits each. 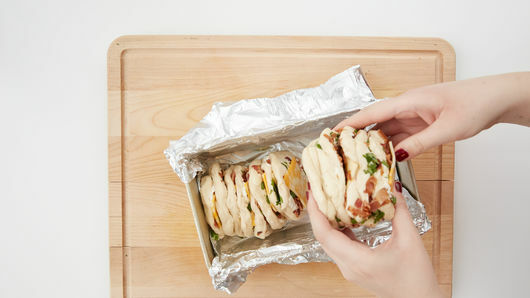 Place stacks on their sides in 1 long row in loaf pan, making sure sides without filling are facing both ends of pan. Bake 40 to 45 minutes or until loaf is deep golden brown and center is baked through and no longer doughy in center, covering with foil if necessary to prevent excess browning during last 15 minutes of bake time. Cool 10 minutes in pan on cooling rack. Remove foil; serve warm. Sprinkle with additional chopped cilantro, if desired. Try cooking bacon in the oven. Line 15x10-inch pan with sides with foil. Place bacon on wire rack in pan. Bake at 400°F 25 to 30 minutes, turning once halfway through baking, until bacon is browned and crisp. 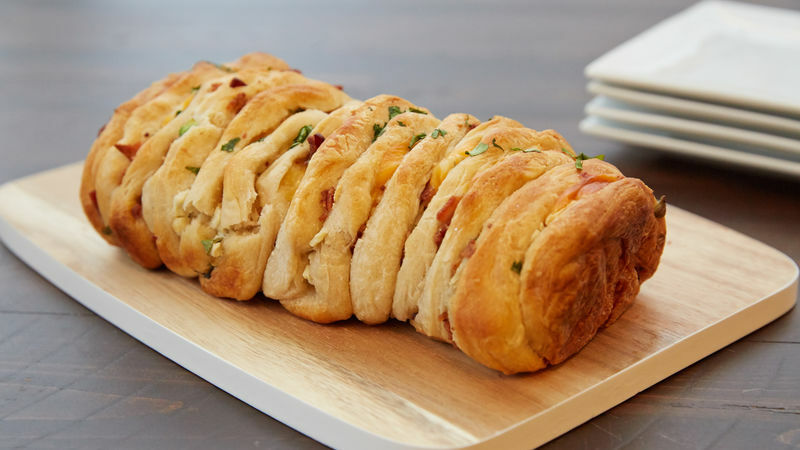 Change up the loaf by using Cheddar or pepper Jack cheese slices.